Here you can set if you would like Tixati to auto-start when your computer starts up and how you would like Tixati to start up. This setting controls whether Tixati checks that it is the default .torrent file handler upon program startup. A button is also provided to check immediately. Most users should leave this setting alone. 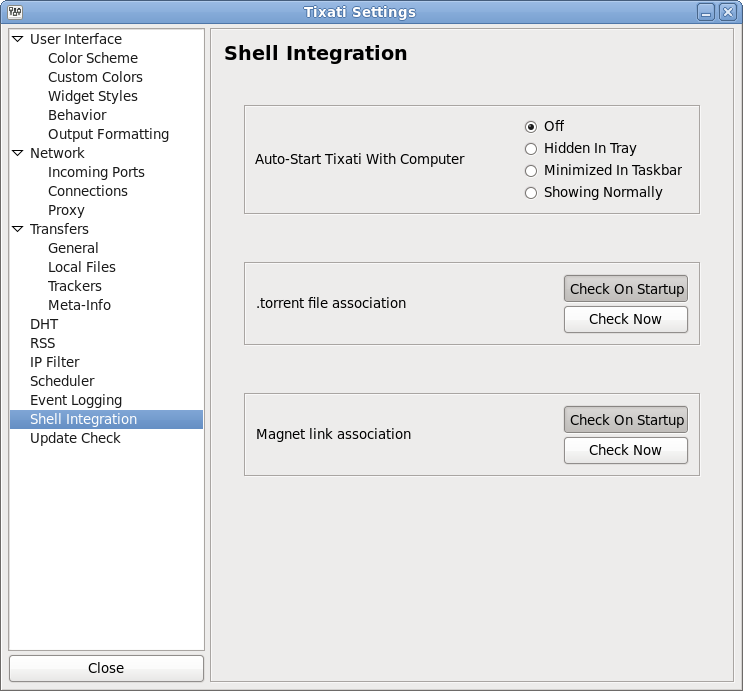 This setting controls whether Tixati checks that it is the default magnet link handler upon program startup. A button is also provided to check immediately. Most users should leave this setting alone.